France’s Alstom will deliver the first contracted freight locomotive for the Baku-Tbilisi-Kars (BTK) railway to Azerbaijan in the second half of December 2018, the company told Trend. "After the first dynamic tests in Kazakhstan the first Prima T8 freight locomotive AZ8A will arrive to Azerbaijan in the second half of December," said Alstom. Alstom and Azerbaijan Railways plan to start the preparation for testing in Azerbaijan in January 2019, according to the French rail giant. 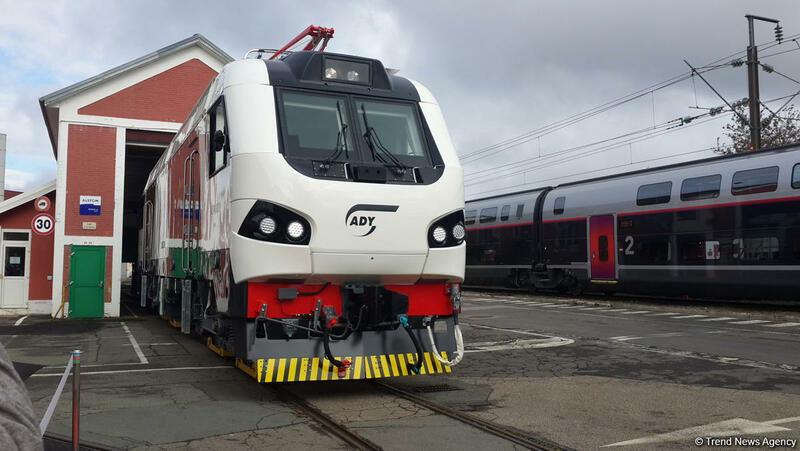 "From February 2019 the first AZ8A locomotive will be on test runs between Ganja and Boyuk Kesik stations," said the company. Alstom earlier presented its first electric freight locomotive Prima T8 AZ8A for Azerbaijan Railways. The presentation of the locomotive was held at the Electric Locomotives Assemblage Factory (EKZ), located on the territory of the Astana special economic zone. The first AZ8A locomotive became a part of the contract signed by EKZ with "Azerbaijan Railways" in 2014 for the supply of 50 locomotives, including 10 passenger locomotives Prima M4 AZ4A. AZ8A is a heavy-duty freight locomotive from the Prima T8 series, which is based on the KZ8A locomotive, currently operated in Kazakhstan. AZ8A is designed for operation at temperatures from -25 to 50 degrees Celsius. The locomotive is designed according to the specific technical requirements provided by the ARW Company, and also meets the GOST and TU standards. Prima T8 is one of the most powerful electric locomotives in the world. The model consists of two sections, is able to pull a train weighing up to 9,000 tons and reach a speed of 120 km/h. Founded in 1928, Alstom develops and markets systems, equipment and services for the transport sector. The company offers a complete range of solutions (from high-speed trains to metros, tramways and e-buses), passenger solutions, customized services (maintenance, modernization), infrastructure, signalling and digital mobility solutions.